So you like fashion. And you like cats. Let’s combine the two. 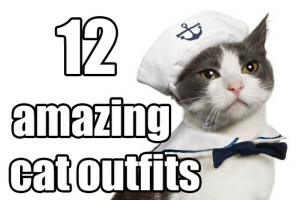 In this post, we’ve collected a whole lotta clothing and costumes for cats. 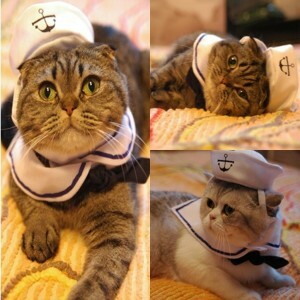 After all, it doesn’t get any better than a pirate kitty.These outfits won’t break your bank either. Most of these apparel items are around 10$. You can check out more pictures and get it here on Amazon. Rawr! For those little big kitties. Channel your inner lion with these awesome manes. Check on Amazon for more pictures and availability. Meowse! 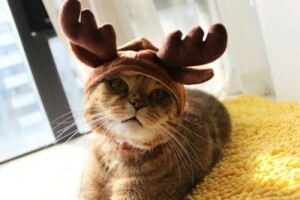 It looks like a reindeer.. but it’s so small. And it meows. What is this magical animal? What! A kitty you say? Impossible! Check on Amazon for more pictures and pricing information. Run for your lives! 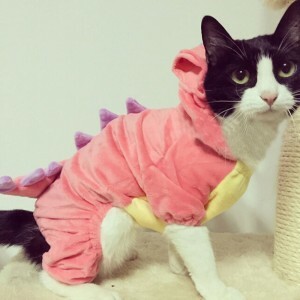 It’s the cutest dinosaur ever! Watch out for his sharp teeth and huge claws. Click on the link to find out more about the rare and near extinct Tyrannomeowus Rex costume. Luke! I am your sister. 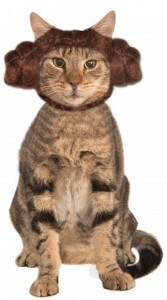 Did you know there is an 86% chance your pet is a secret star wars fan? Me neither, until I just made this up. 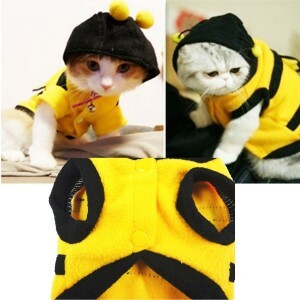 What happens if you cross a bee and a kitten? But I bet looks something like this. 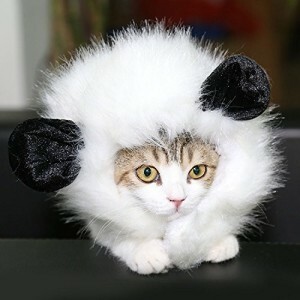 Bzzz-meow? Bzzz-meow! All hail, Sir Cath of Purr and his faithful jester. 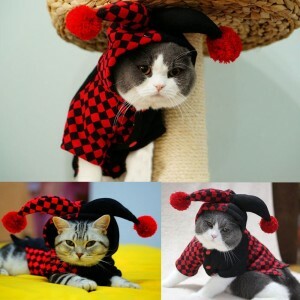 If your pet isn’t entertaining you enough already, give him or her that edge with this jester outfit. Rumor has it that your feline will start dancing and juggling, but only when you’re not watching. 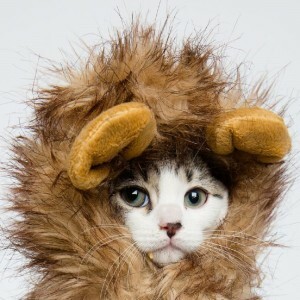 Although we suspect it´s a lion´s mane costume with different colours, that doesn´t kill the fun. 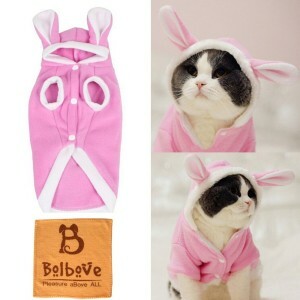 Perfect fit for neutered felines that like to do nothing but lie around and eat. Just like real panda´s. So you’re getting married, and you’ve decided your feline to be your bridesmaid. Or you’re getting married to your pet. We don’t judge. 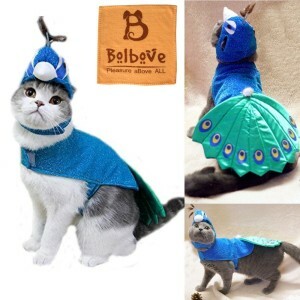 Make her (or him) look the part by dressing your kitty up in this amazing costume. James Bond move over! We’ve got a cool cat with slick moves and he’s right on your tail. Also, it makes a set with #10. Take it easy on the catnip there, buddy. 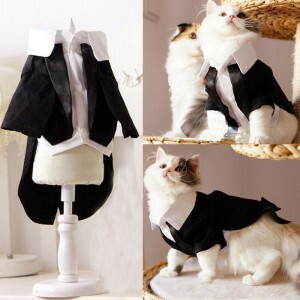 And that concludes today’s post on kitty clothes. If you have any questions please ask them in the comment section.